Kimpton have been providing essential mechanical building services for over 50 years. We have been transforming empty building shells into living, functional, habitable environments. An increasingly competitive business environment puts ever-greater financial and environmental demands on building projects. 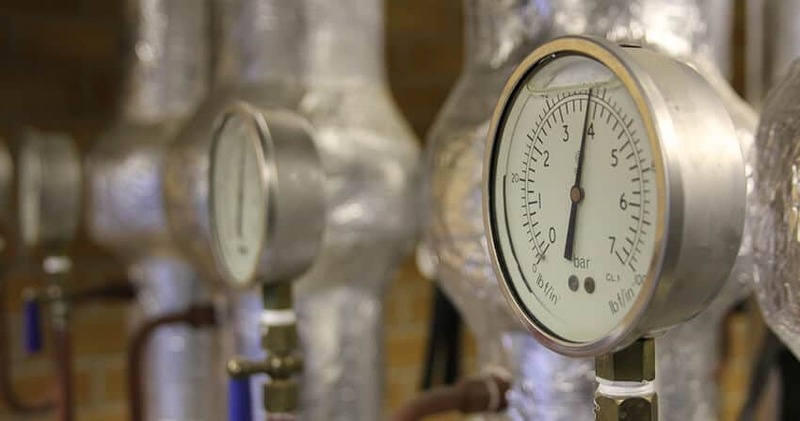 As established contractors for mechanical building services, covering heating, ventilation and cooling systems we are ready to meet the need for innovative products and systems that offer significant, sustainable operational advantages and efficiencies. We can handle anything from basic heating and ventilation solutions through to complex industrial installations. Kimpton is also responsive to the need for greater environmental responsibility. 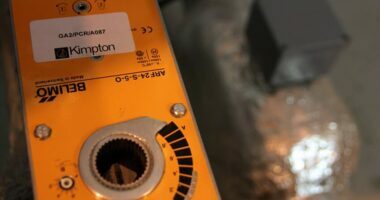 All our designers and mechanical engineers are familiar with the latest building regulations and approved codes of energy management practices. 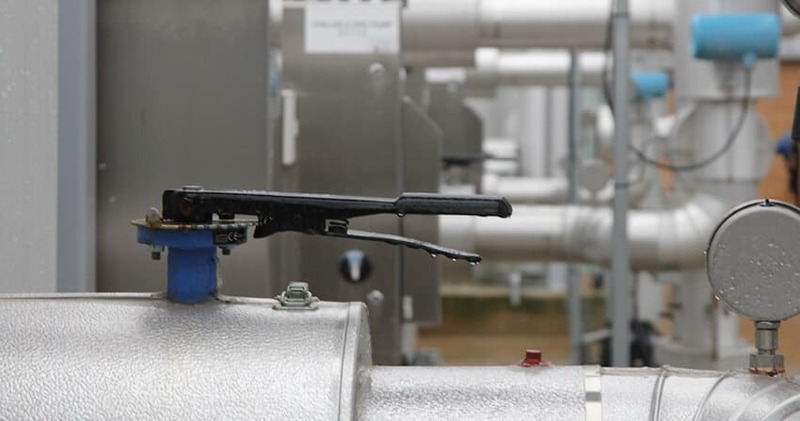 We also bear current environmental legislation in mind when recommending climate control and comfort cooling systems. One of the world’s leading names in the development and manufacture of fast moving consumer goods. Our client is a British-Dutch multinational consumer goods company co-headquartered in Rotterdam, Netherlands, and London. Its products include food, beverages, cleaning agents and personal care products and they are the world’s third-largest consumer goods company measured by revenue, after Procter & Gamble and Nestlé. They have three global divisions in foods, home care and personal care. From their origins as a soap manufacture in the 1890’s they have grown successfully into a global leader in the manufacture of brands that help people look good, feel good and get more out of life. 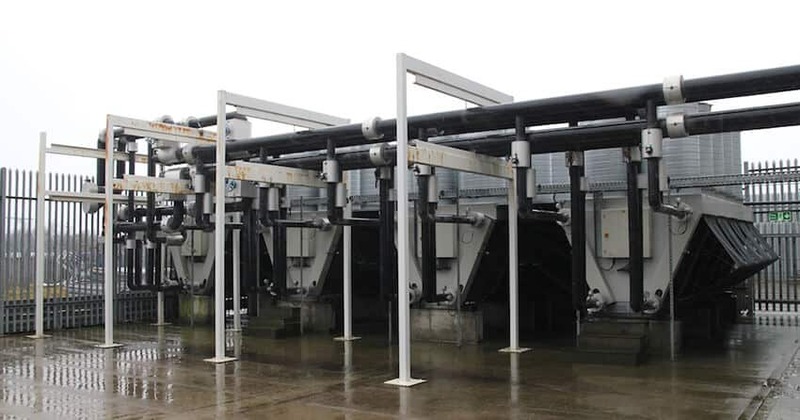 The project involved a series of refurbishments to facilitate a large scale reorganisation of the site. The £6.5m project was carried out while the buildings remained occupied and work continued as normal. The works involved the extensive refurbishment of office and laboratory areas including the refurbishment of a highly serviced laboratory and the construction of an extension to the Environmental Research Lab. The extension works were to be of traditional construction whilst the refurbishment of the main building had to pay specific consideration to the listed building status and retain the original features. With extension and refurbishment works all running concurrently, all of the works progressed whilst the client’s activities in surrounding areas carried on as normal. 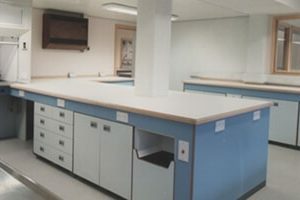 The construction of the lab rooms suitable for microbiology, microscope and media preparation requirements included the provision and installation of modular lab benching/integrated sinks and fume cupboards, whilst the finishing incorporated hygienic flooring/ceilings and vision panels. 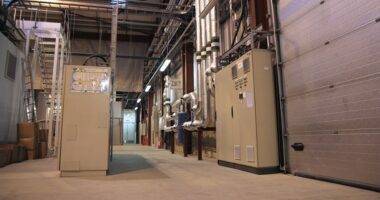 The electrical services included the manufacture and installation of main and sub-distribution switchgear, H&V panels and BMS control units. Power and occupancy dependant lighting systems were installed along with fire, security and door access systems. The design and installation of the laboratory gas infrastructure was supplemented with a gas detection system for hazardous and non-hazardous gases. 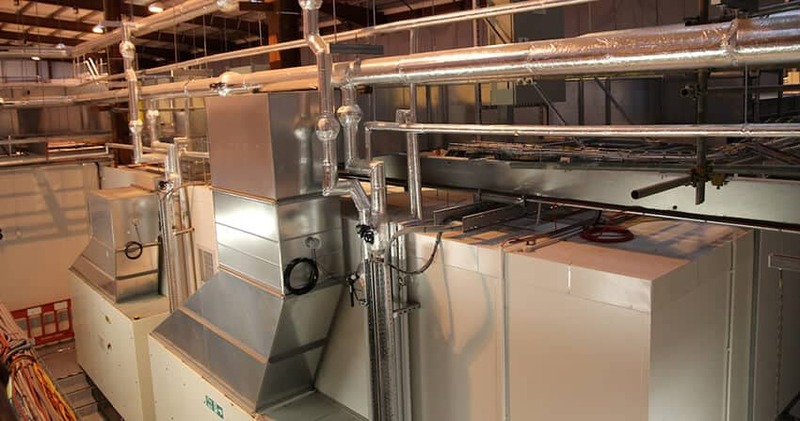 The mechanical services installation not only included the design and installation of a primary chilled water cooling system, but this was also complemented with air conditioning split systems in the laboratory. The project was carried out with no lost time accidents and all phases of the project were completed on program and within budget.